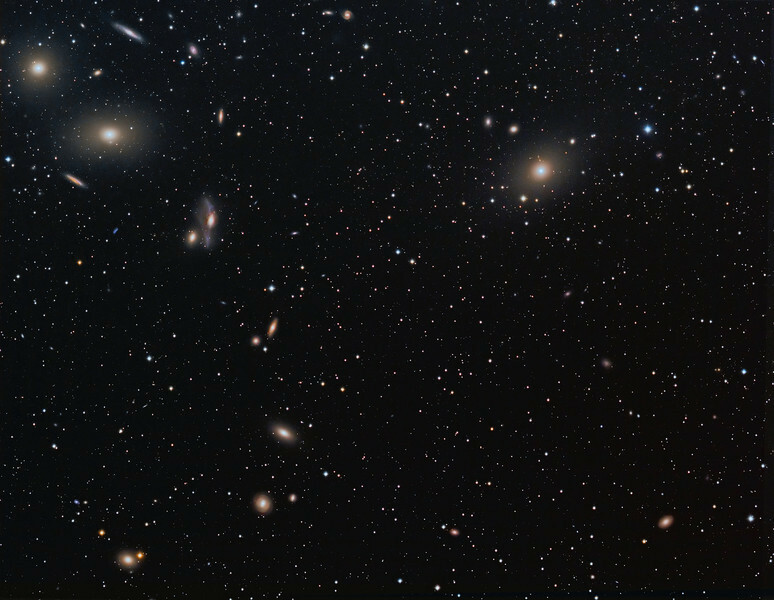 Full frame - 9 hours of Markarian's Chain ( note galaxy jet coming tight from the core of M87)...to be viewed in "Original" size to get the best impact...Luminance 270 minutes, RGB 90 minutes each. NP101is @ f4.3 and FLI ML8300 camera. Taken over 3 nights March/April 2010 by Lynn Hilborn, Grafton, Ontario (Photo appeared in the March/April 2011 SkyNews magazine).